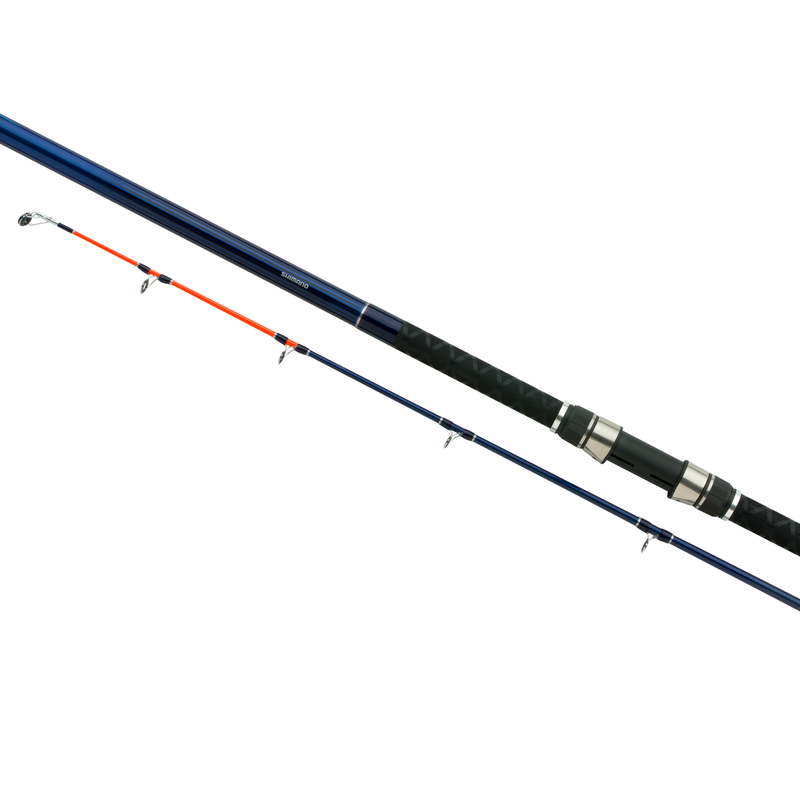 The Nexave 2PC is a strong rod with a fast progressive action with good casting qualities. It comes in 2 models: a Lite version (good for allround usage with leads up to max 120 gram) and a Rough Ground version (for heavy-duty usage with leads up to 225 gram). The Lite has a Pac Bay Plate reel seat and the Rough Ground a Shimano Sliding reel seat. This sliding reel seat gives the angler full control, because with this the height of the reel can be adjusted.